I may be a fan of the source material, but the recent Naruto games have been anything but revolutionary. Not since the sublime Ultimate Ninja Storm 2 that was released way back in 2010 have the sequels managed to reach that benchmark. The next ninja chapter however, might just have a fighting chance to do so at long bloody last. Believe it! Finally, the gameplay gets an upgrade. After a couple years now of the exact same movesets and justu finishes, NSUNSR adds something to the formula. While it still is the exact same foundation, there’s a ton of new additions to the gameplay which make the experience deeper at least. Which is kind of like swapping milk for condensed milk in your cup of tea: all the sweeter. You’ll still be handling a character that can zip around the battlefield, has a main jutsu (ninja magic) and an ultimate jutsu ultra attack, but one of the big changes now comes in the form of how you want to approach your battles. 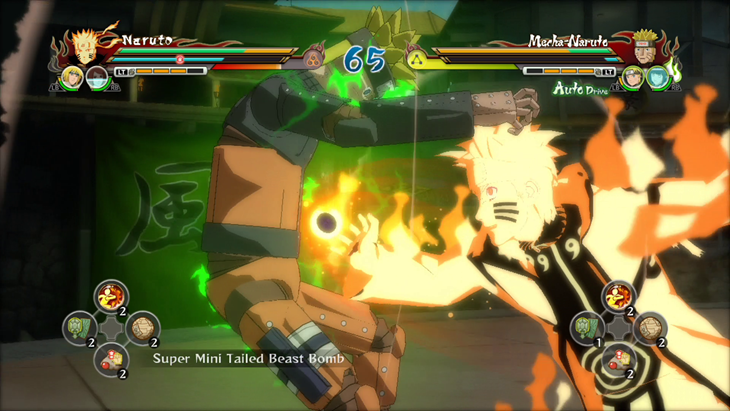 Teamwork is now an even bigger component of the gameplay, with shinobi now able to use teamwork-based ultimate jutsu finishing moves that deal extra damage when they triple-load their chakra. This is all based on specific pairings however, so don’t expect to be able to use a specific Hinata combination with Sasuke during battle. Players can also select characters who have a higher strength in jutsus, awakenings and faster drive teamwork. Add to that new counterattack opportunities and a two-turn knockdown use to break down guards and leave opponents vulnerable, and the game is finally feeling more fleshed out. 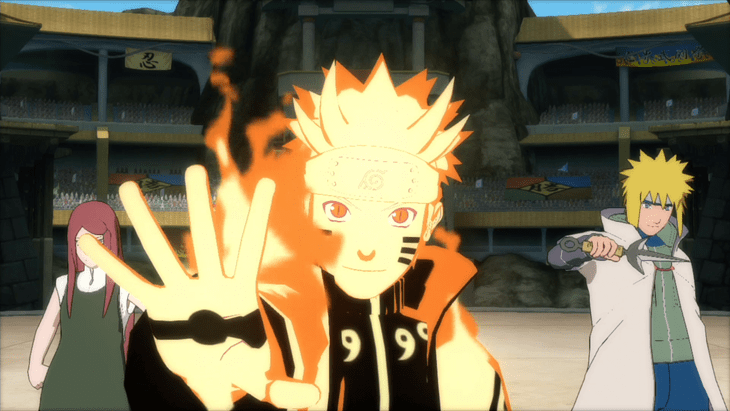 For an old-gen game, Naruto still manages to look ridiculously good. This version may have graphics on par the recent Full Burst re-release, but sweet shinobi does it know how to animate them to the full extent. The game runs beautifully now, with frame-rates remaining constantly high and the entire experience looking like a fine art on crack cocaine. Compared to the usual drab and grey colour palettes of more realistic games, the bright visuals are a treat. Not bad, not bad at all no jutsu. 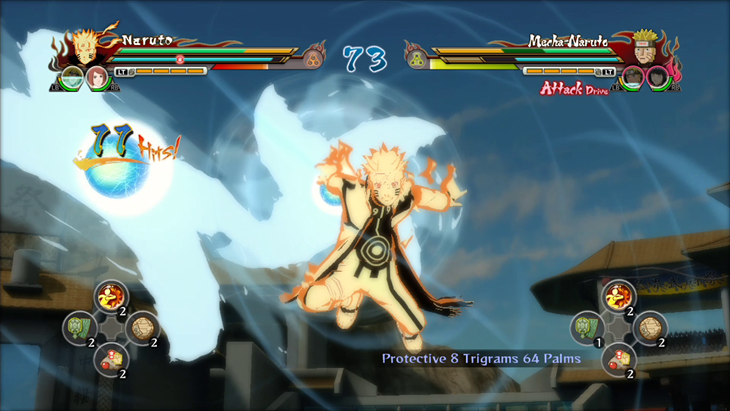 The demo provided a Nine-Tails Chakra Mode Naruto, Kakashi and Sasuke. They’ve got new movesets this year, with Kakashi have a devious new quick jutsu attack, while Naruto as usual remains as overpowered as ever. Sasuke also benefits from new Susan’O attacks, such as a far more useful Amaterasu jutsu and a very tactical drive support when paired with his older brother Itachi. 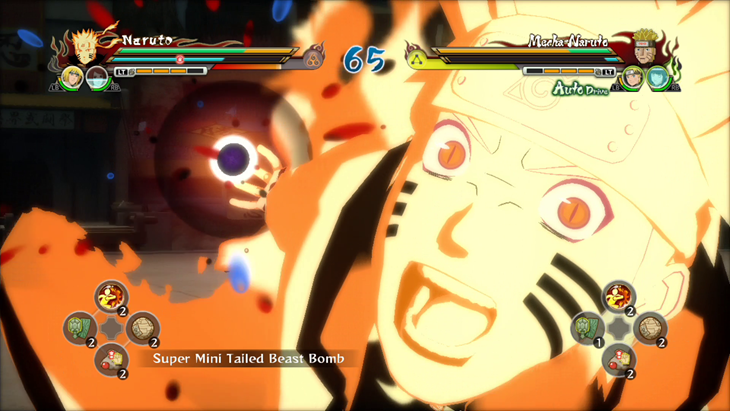 Nine-Tails Chakra Mode Naruto could team up with his departed mom and dad (NINJA MAGIC! ), while his mechanised version had the original Naruto on his side and Hinata. Lastly, Kakashi had Might Guy providing back-up through his Dynamic Entry kicks. A new Naruto game means a new character or two added to the roster, with such additions sometimes being 100% original video game exclusives. This year, we get Mecha-Naruto who is every bit as silly as he sounds. Believe it! He’s also a bloody blast to play as. 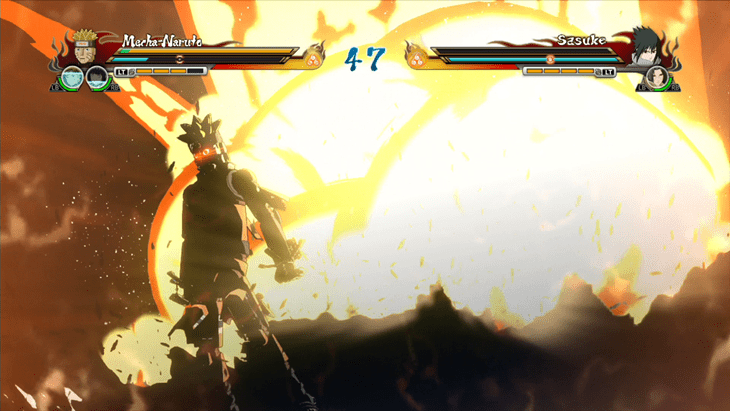 While Mecha-Naruto possesses the exact same basic moveset and navigation controls, he also boasts a ton more visual quality, as well as an ultimate justsu finish that isn’t just overpowered, it’s ludicrous. His main jutsu attack, a rocket-propelled Raengan can easily close gaps although it does leave him open to quick dodges that can be followed through with throws and other jutsus. Mecha-Naruto also has awakening abilities, with his first one allowing him to assume the form of a three-tailed Mecha-Kyubi, before going full kaiju and assuming the form of a massive nine-tailed mechanical form of the infamous fox. Good for strong, relentless attacks, but open to many counterattacks. 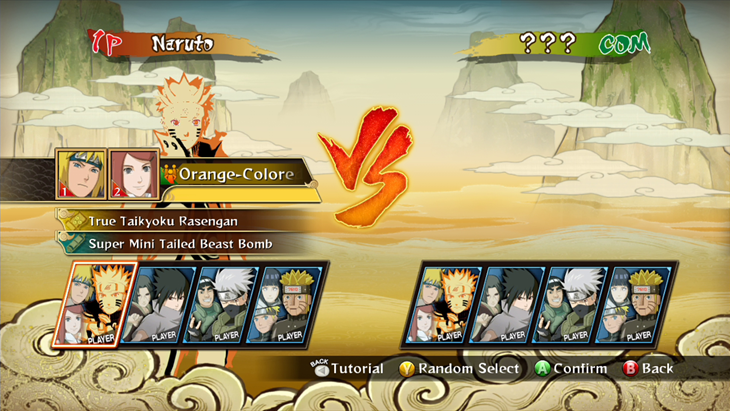 Mecha-Naruto is a fun new addition, and actually really enjoyable to play as, as the character provides a light-hearted alternative to the usual shinobi on offer. I’ve yet to actually even get into an online session. Nine times out of ten, the lobbies are far too busy, while the remaining ten percent of the time has me being kicked out by the game. Hopefully this will be resolved soon, before the game launches in September.